Reddy started gaining attention around 2015 and started to grow as an artist through his rapping skills. Under Hi-Lite Records, he has released over 25 singles and 2 EP's. His style is fresh as seen in his release for "Peach", one of my favorites so far in 2018. 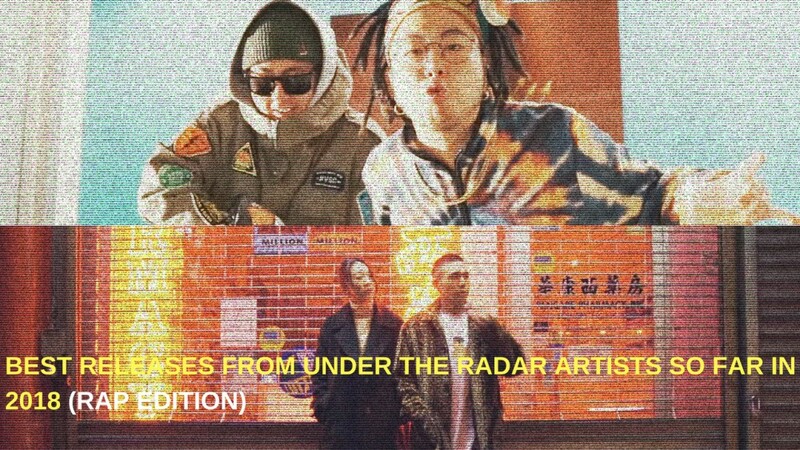 Also under Hi-Lite Records (don't sleep on the talented agency), YunB is both a rapper and producer that released his first single, "Runaway Pt 1" featuring Paloalto. YunB is originally from New York but went to Korea to pursue his dreams ultimately ending up a prized member of Hi-Lite Records. As can be seen in this aesthetic MV, you get to see the beautiful scenes of NYC as you leave for home late night in a yellow cab after a fun night in the city. You've seen the solo releases from Hi-Lite Records, how about an all-star crew of talent? This release is pure fire and has nearly 2 million views since its release in January 2018. SiK-K was a contestant on 'Show Me the Money 4' and released his first EP 'Flip' on June 20, 2016. Since his time on 'Show Me the Money 4' SiK-K has been able to make a name for himself through rap and has worked with artists like Masta Wu, Whee In, Jay Park, Jung Se Woon, and more. This track was released in 2017 but it's too good not to include here! LOCO is a South Korean rapper signed to AOMG. He won the first season of Mnet's 'Show Me the Money' in 2012 and since then has risen to stardom as a rapper. He's not really "under the radar" anymore as he's quite popular but this release is pure fire and deserves more views. GroovyRoom is a duo producer team and currently the "it" producers in K-pop. They've produced for a lot of K-POP idols and R&B artists like Jay Park, Crush. Sik-K, Dok2, Hyolyn, Heize, and ONE. GroovyRoom consists of Park Gyujeong and Lee Hwimin and have signed to H1GHR Music. In this release for "Sunday" they recruited Jay Park and Heize for a bomb release. Under label H1GHR Music, Woodie GoChild, previous 'Show Me the Money' participant, paired up with Jay Park and Dok2 to expand his skills in the music industry. "Let's Get It" is a popular phrase that everyone says so a song with such a title was mandatory and this one features Jay Park and Dok2. This is technically a late 2017 release but I like it so much that I had to include it here.